A big crowd was on hand for the free practice sessions before the tournament gets underway. 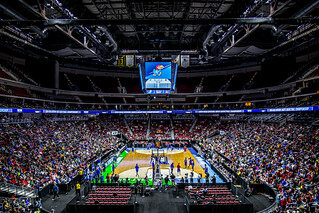 Photos (with a HDRish effect) from practices sessions for the NCAA basketball tournament. The overall number one seed Kansas Jayhawks were on the court when I stopped by the venue. 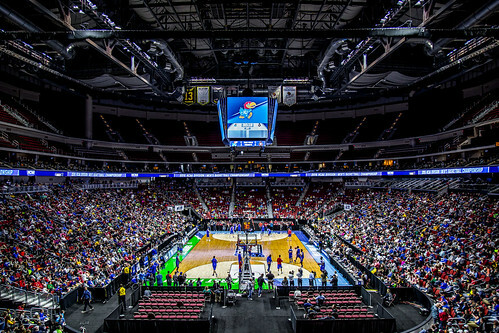 The first and second rounds are being held for the first time ever in Des Moines at Wells Fargo Arena.